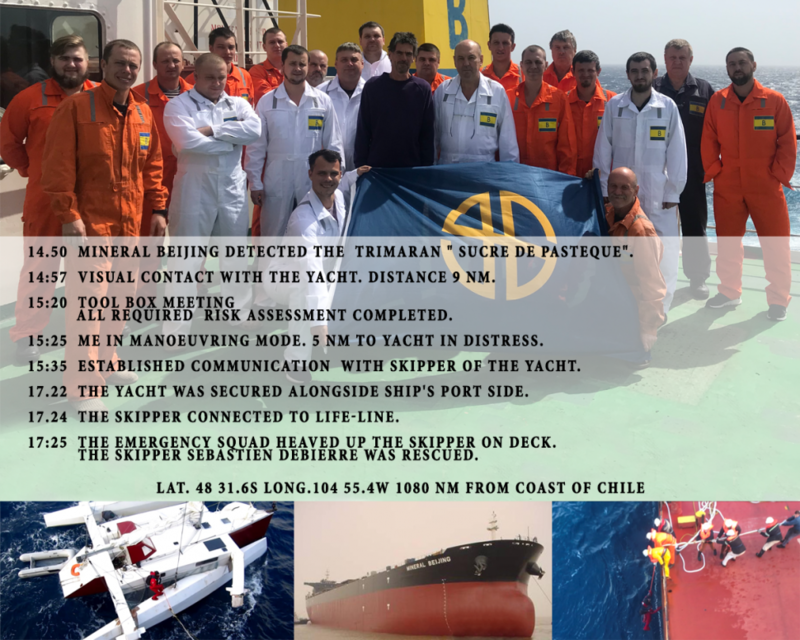 On 24th January the crew of Capesize vessel m/v Mineral Bejing rescued Sébastien Debierre from his distressed trimaran “Sucre de Pasteque”. The entire crew proved again what good seamanship is all about. Mr Debierre is safe and sound!